Note: Proof of Brian’s Autism Spectrum Disorder are in three special court filings for the general public to look at. CourtListener has Document #2-1 from his FOIA lawsuit, Document #23-1 from Dr. Shyam Balakrishnan, and Document #23-2 which is the Autism TEACCH papers concerning Brian D. Hill. There is the absolute proof Brian has Autism. 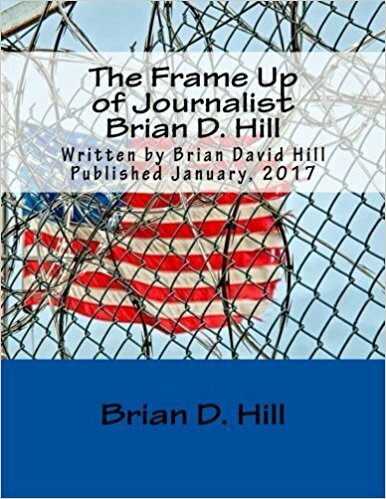 Brian D. Hill, formerly of defunct political alternative news blog of USWGO Alternative News, needs U.S. President Donald John Trump to grant him a pre-charge pardon for his false guilty plea on June 10, 2014. Once Brian overturns his criminal conviction on actual innocence, the U.S. Attorney plans to charge Brian with perjury (over his false guilty plea!) since he was forced by circumstances to take the guilty plea or face twenty years in federal prison due to ineffective assistance of counsel. I will be posting the link here to the White House petition that I am setting up with a link to this very post, asking over 100,000 American people to sign the petition to pardon Brian David Hill for his false guilty plea, so that he will be allowed to prove his actual innocence in federal court without fear of facing a charge of perjury over being forced to plead guilty under Oath or face a hefty prison sentence under a Public Pretender that had built no solid defense when they clearly could have provided him a defense to his charge with actual innocence facts. Deteriorating health due to poor medical care of the county jails while under U.S. Marshals custody. Medical records have been filed as evidence as Exhibit 1 or 2 in his Habeas Corpus brief filings. Ineffective assistance of counsel so severe that they had ignored witnesses, ignoring evidence of his innocence, ignoring his false confession at Mayodan Police Department, lied to and deceived multiple Federal Judges and pitting Brian against the Judges with calling them crooked when in reality his ineffective counsel is his true enemy in his criminal case. They outta be charged with subornation of perjury. All criminal Defendants are required under Rule 11 of the Federal Rules of Criminal Procedure to plead guilty under Oath when changing their plea from not-guilty to guilty. America has a guilty plea problem for falsely pleading guilty to crimes they are truly innocent of. When Brian was forced by circumstances to change his innocence stance to a false guilty plea which he can still overturn on true factual innocence and ineffective assistance of counsel, he was forced to plead guilty under penalty of perjury. The court appointed lawyer threatened that Brian would face perjury and Obstruction of Justice once he proves his actual innocence in federal court. 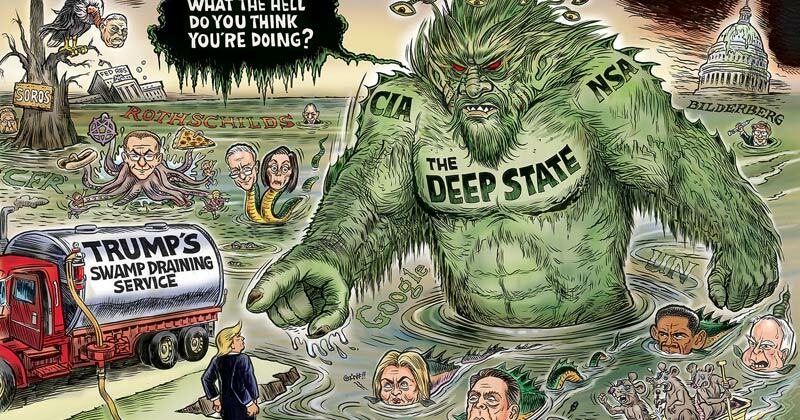 They are leveraging his false guilty plea to charge him with a new crime of perjury for being forced against his will to plead guilty under Oath for a crime that he did not commit. Brian’s health cannot withstand a new federal criminal charge. Brian will likely end up hospitalized, suicided, or dead if a new charge is filed after Brian is found innocent. After reviewing over his evidence presented in his 2255 Habeas Corpus motion and case inside of the federal court system, I have come to the conclusion that Brian is highly likely to be found actually innocent, but the U.S. Attorney is ready to charge him with perjury the minute he is found actually innocent under facts that he did not knowingly possessed materials and that he was set up as proven by the evidence. Brian is innocent and factual innocence is far stronger than just showing at least one reasonable doubt in front of a Jury. The Office of the Pardon Attorney offers no pardon request forms for pre-charge pardons even though the U.S. President has the authority to file a executive pardon before a charge could be filed against a suspect, if such charge will not result in true justice. Under U.S. Supreme Court case law under, Ex parte Garland :: 71 U.S. 333 (1866) :: Justia US Supreme Court Center, the President has the power and authority to pardon a American citizen upon a criminal allegation prior to being charged, during the charge, or even after the conviction. The President has the power to pardon Brian D. Hill before legal proceedings are taken against Brian for perjury ONLY over his false guilty plea. Brian has not made any false statements in court other than his false guilty plea and his false confession to a crime that he did not commit because Mayodan Police Chief Charles J. Caruso said “Fess up! We know you did it. You better fess up or else your mother will be held responsible” (Source: Federal court filings under Oath by Brian). The only false statements Brian has made in his federal criminal case were a false confession and false admissions of guilt during the change of plea hearing. Brian is innocent and should have been allowed to fight to prove his innocence at the Jury Trial that was set for June 10, 2014. If you aren’t sure yet about signing this petition then feel free to do research. Read the article postings on this blog. Read his federal Writ of Habeas Corpus filings on CourtListener. Once the Judge receives the Presidential pardon if this petition campaign is successful, then you have saved an innocent man from being forced to stick with his false guilty plea. He will be able to fully prove actual innocence without fear of legal repercussions. Brian shouldn’t have been forced to plead guilty for a crime he didn’t commit under threat of perjury if he is found innocent at a later time. Brian is innocent and shouldn’t face a perjury charge ONLY for his false guilty plea. His guilty plea was coerced and forced upon him by a bad lawyer. Brian’s motion asking for a mental examination to prove false confession clearly does prove ineffective counsel in one facet of many different facts of ineffective counsel in his case. Show U.S. Magistrate Judge Joe Webster of Durham, NC, that Brian is innocent, that Trump should file a pre-charge pardon for Brian’s false guilty plea, and Trump can show the U.S. Attorney Office that Brian is serious about proving his actual innocence. Please sign the petition until it gets over 100,000 signatures needed to get an official White House response and media coverage over the matter. Brian is not a celebrity and doesn’t have connections to President Trump to get this pardon on his own. He needs the American people to fight for his rightful actions of seeking justice. Research note as of July 31, 2018: Here is information for those that need proof that all criminal defendants in Federal Court are required to plead guilty under oath, even if the guilty plea was false as a result of a bad lawyer which is ineffective counsel. Rule 11 of the Federal Rules of Criminal Procedure that says guilty pleas can and will be done under oath to force people to stick with their guilty plea, even if they are actually innocent but had a terrible lawyer. https://www.law.cornell.edu/rules/frcrmp/rule_11 – (b) Considering and Accepting a Guilty or Nolo Contendere Plea. ; “(1) Advising and Questioning the Defendant. Before the court accepts a plea of guilty or nolo contendere, the defendant may be placed under oath, and the court must address the defendant personally in open court. During this address, the court must inform the defendant of, and determine that the defendant understands, the following:”, and “(A) the government’s right, in a prosecution for perjury or false statement, to use against the defendant any statement that the defendant gives under oath.” There you have your evidence. They placed the threat of perjury charge in the guilty plea section because Federal Courts make criminal defendants plead guilty under oath. Courts don’t take pro se filers seriously either. So if your given a bad lawyer, you falsely plead guilty or face maximum imprisonment after being convicted by the federal petit jury. The prosecutor will twist your words around. The system is fixed to where innocent people are forced to falsely plead guilty or faces a hefty prison sentence. Note: I had to make some corrections as I made some mistakes and fixed them. Brian has Autism and OCD. I thought that needs to be brought up. His medical records in Federal Court records more than prove Brian’s Autism.